In today’s demanding modern business travelling environment private mini coach travel is one of the most efficient ways of moving people around. 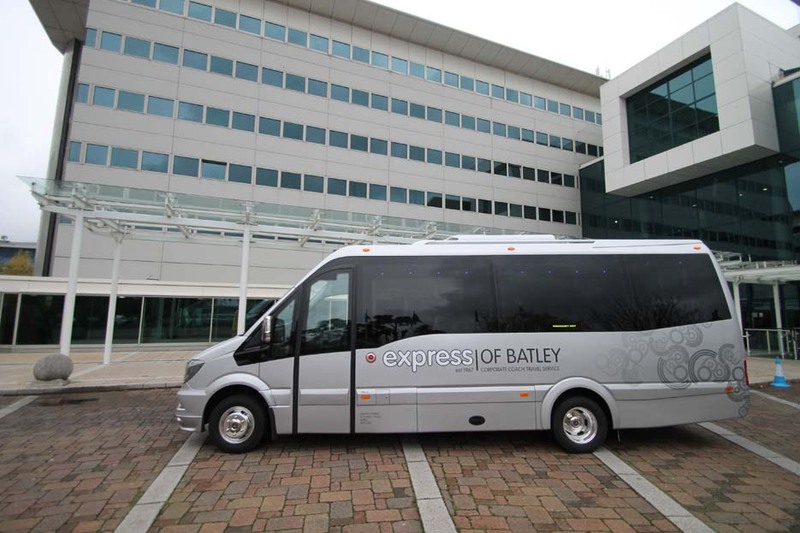 Founded in 1967 Express of Batley is one of Briton’s most experience mini coach specialist. With over 35 years of experience, our reputation with customers, old and new, we pride ourselves delivering satisfaction and a reliable quality mini and midi coach hire service. today the company has some of the latest high profile, modern young fleet ranging from standard to full executive mini coaches. Our top class ranges come with latest state of the art entertainment, drinks machine on board, air condition, reclining seats with seatbelts and leather interior is option. So if you are looking for a smart, high profile quality mini coaches at competitive prices please give us a call. Why not discuss your travel arrangement with us because first impressions make lasting impressions.